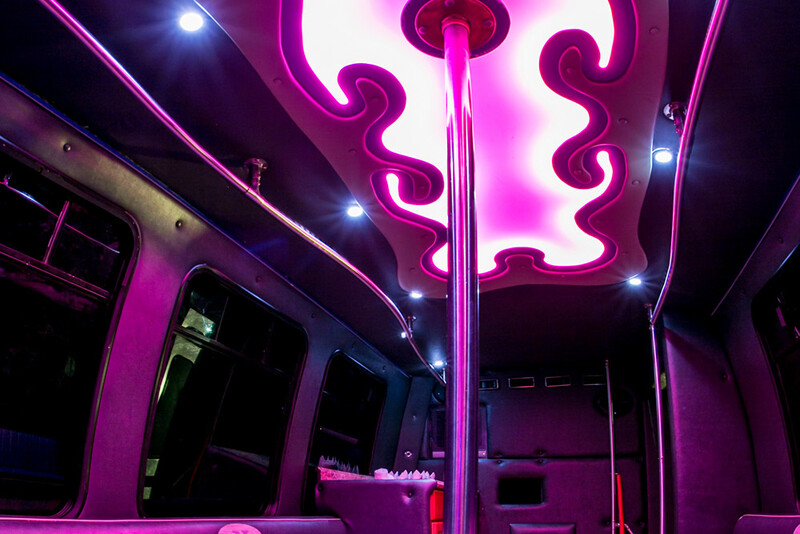 Our White Party Bus is completely decked out with the finest luxury amenities available. 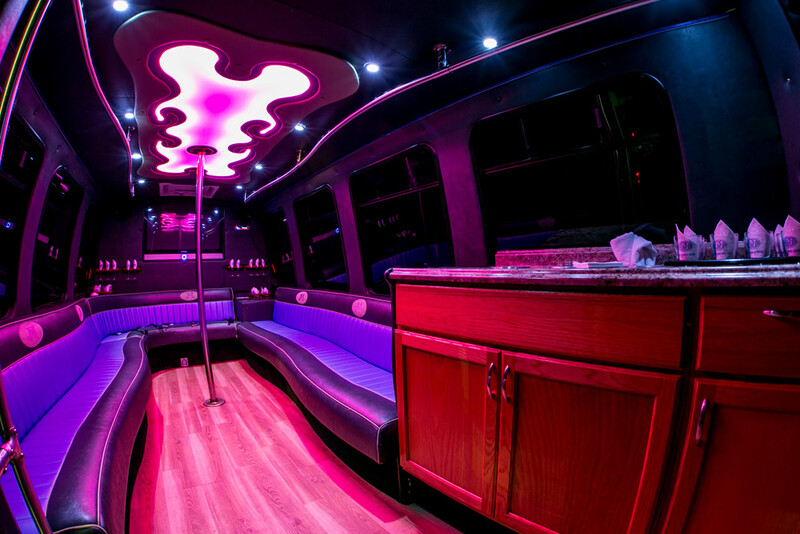 Not only does this party bus come with premium leather seating, fully stocked bar and HDTVs, it also has a large dance floor and dancing pole! It’s so luxurious that it feels more like your favorite nightclub than a party bus. 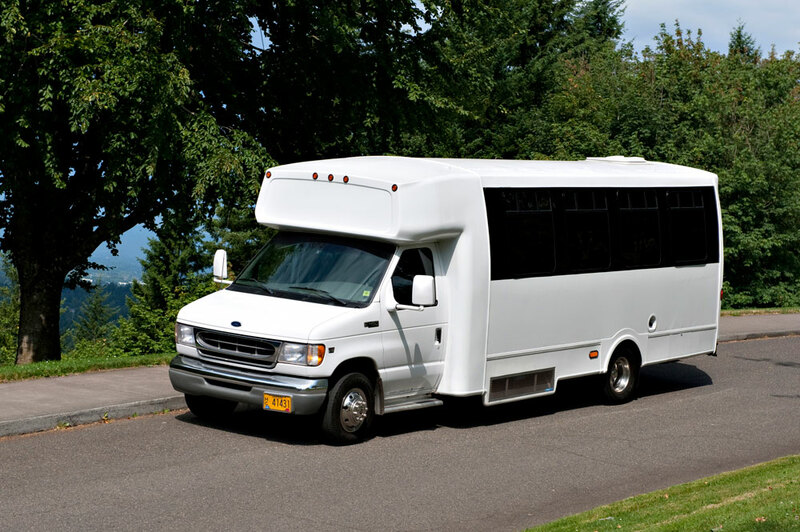 You and your friends will be dancing your way through town as you ride in style!